McKenzie River Nursery is located in a beautiful country setting surrounded by the foothills of the Cascade Mountains. 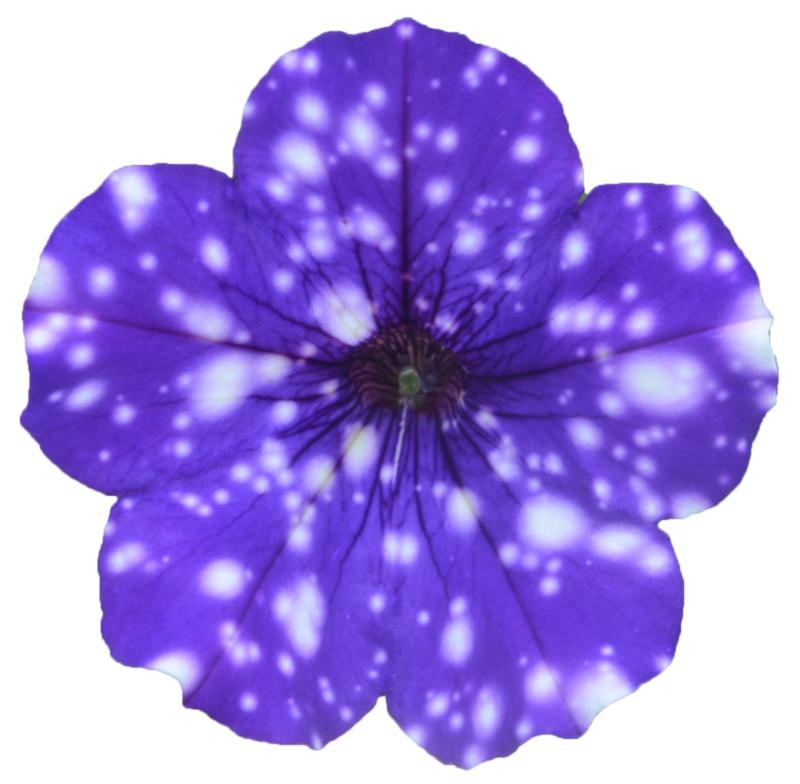 We are a grower and retailer of specialty hanging flower baskets, vegetable starts, bedding plants, and various trees and shrubs. We start planting in January for the coming season, and sales typically begin in March. Our visitors enjoy browsing and shopping through our greenhouses and outdoor sales areas. When you visit, you will find a warm, friendly and welcoming place where you can browse through the greenhouses, talk with neighbors, and buy healthy, happy plants. 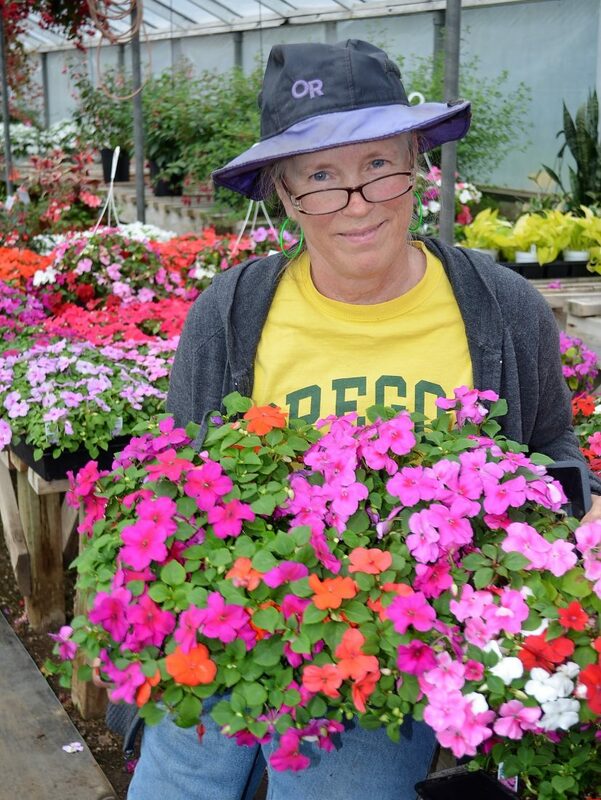 McKenzie River Nursery has been a family business for 50 years, since its inception in 1968 by Elwood Mathew. When Elwood bought the farm, there were two greenhouses on the property. Over the years he built the nursery up to our current eight greenhouses. Currently, the nursery is managed by Tamara and Greg Clift. Tamara is Elwood’s daughter and took over from her father in 1995. Greg and Tamara were married in 1997, and Greg joined the nursery full time in 2001. Alyce Mathew, Tamara’s mother, still helps out in the nursery during the busy sales season. Each weekend in March hundreds of customers come to our nursery to make their own hanging flower baskets. 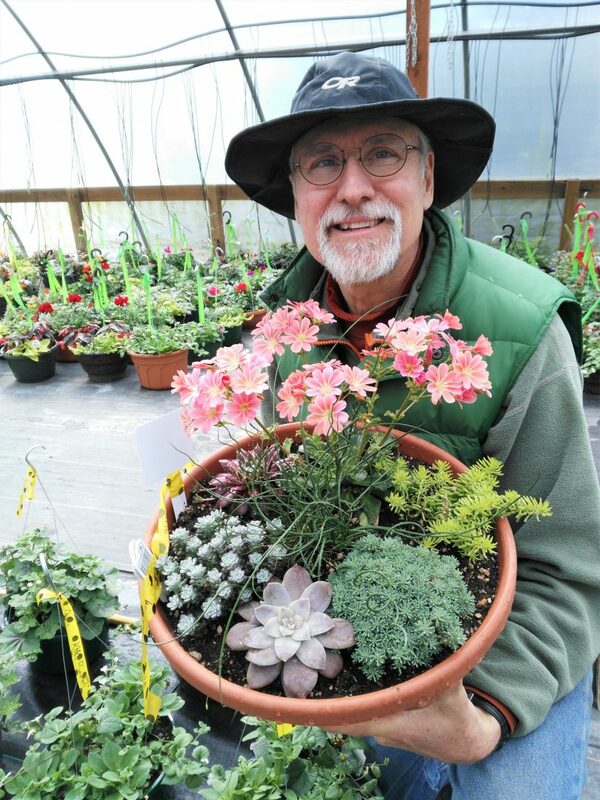 We grow the completed baskets in our warm greenhouses until May when they take home their gorgeous creations. Last year over 1,000 hanging baskets were made! In addition to the class baskets, we make several thousand ourselves, which are sold in May, June, and July. 1,000 hanging baskets made last year!